Meet Tom. With a history of playing football in college and several sports injuries, life seemed to be catching up with him. It got so bad he was unable to sleep, always in pain, unable to be the employee, husband, and dad he wanted to be. Because he was skeptical of Chiropractic, he didn’t reach out to get care. His wife finally forced him to make an appointment. He cannot thank us enough for how great he feels in less than one month. 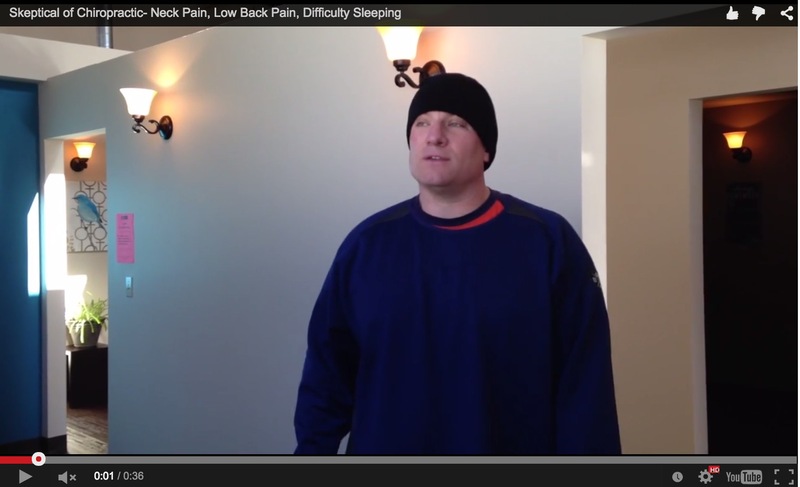 Watch this video to hear Tom’s story of how Dr. Rachae Bell of Clear Chiropractic’s Spokane location helped Tom feel better and sleep through the night for the first time in years. I’m a 67 y/o man. Retired critical care RN. Used to run up 50 miles/wk. Severe whiplash injury caused by impact of helicopter prop-blast debris to rt side of face. In military hospitals 6 weeks with severe concussion. Dx. w/multiple herniated discs and spinal stenosis. Anterior approach, C5-6, disectomy w/fusion 2002. Required second cervical surgery (posterior approach) in 2012. In 2016 had 4 space laminectomy/foramenotomies at L2-6. Medical hx otherwise unremarkable. Want to know if I would be assessed/considered for the upper cervical treatments. Prepared to remain in Costa Rica as long as required. Ayudarme por favor.